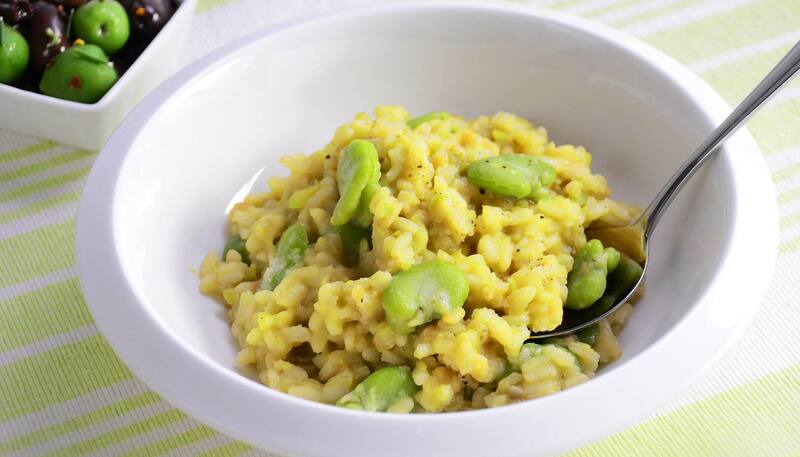 This risotto with fava beans and parmesan cheese is a beautifully green spring dish. The fava beans will add exceptional creaminess to brighten up any meal. 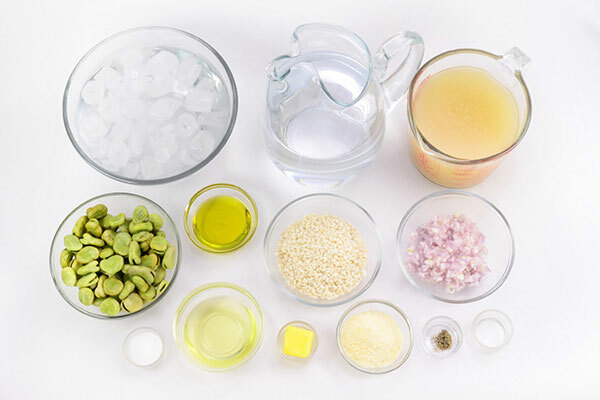 If you find fresh fava at your local grocery stores, we highly recommend you try this recipe. Blanch the fava beans. 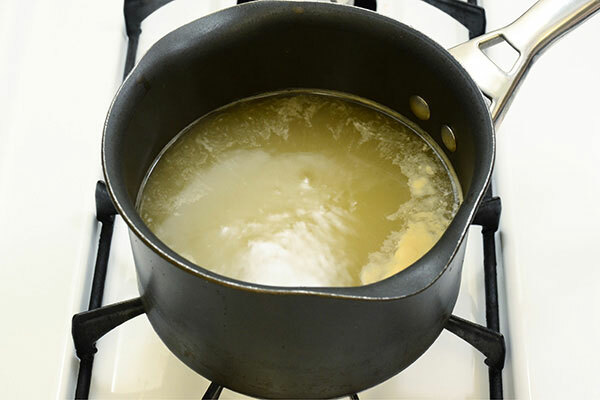 Boil water in a pot and add 1 Tbsp. of salt. Also prepare 2 quarts ice water. Add the fava beans to boiling water and blanch for 2 minutes (3 minutes for frozen). Remove from boiling water and plunge into ice water. Let chill for 2 minutes. 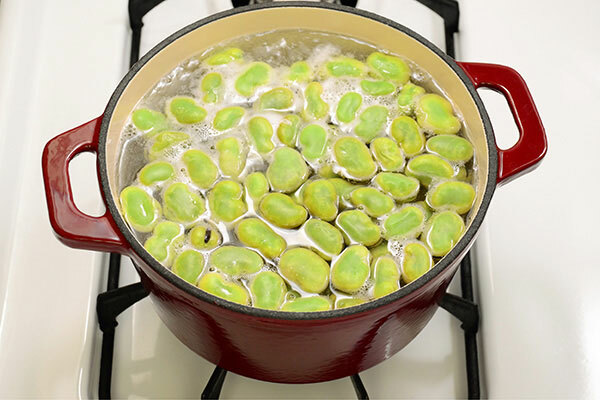 Drain and remove skins of the favas. 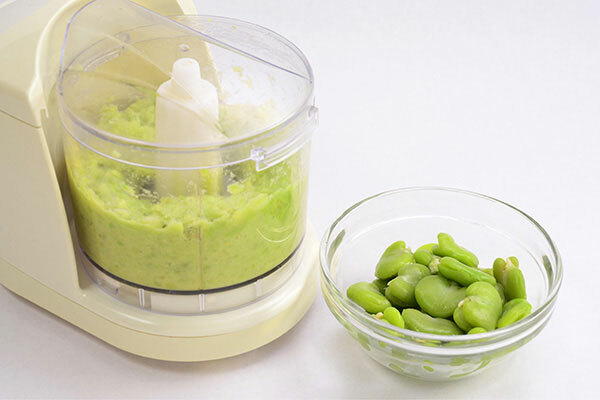 Reserve 1/3 of favas in a small bowl, purée the remaining favas in a food processor and set aside. In a large saucepan, heat broth and keep it on simmer. 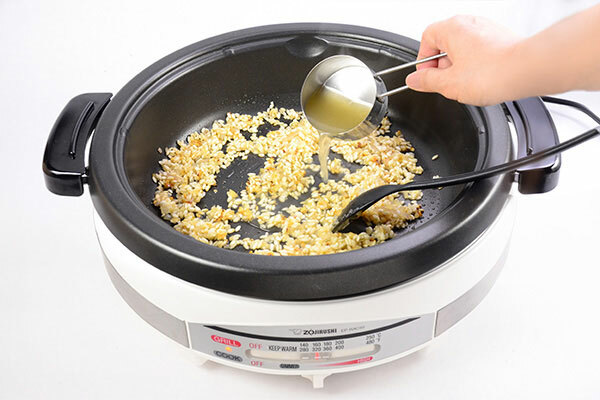 Set the Gourmet d’Expert® Electric Skillet (EP-RAC50) to 320°F and heat olive oil. Sauté shallots for 2 minutes. Add rice and sauté for 2 minutes. Pour wine into the skillet, stirring constantly until the wine is fully absorbed. 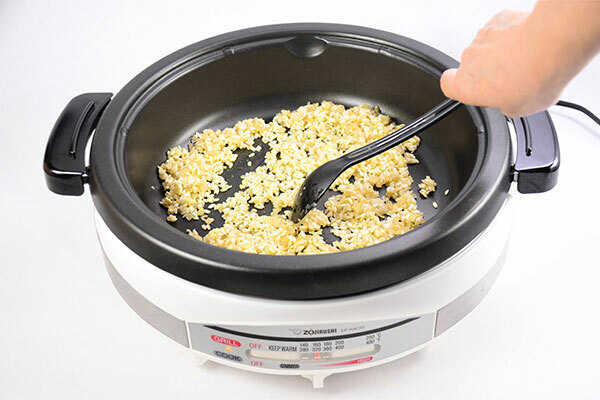 Add 1/2 cup heated broth to the rice, and stir until the broth is absorbed. Repeat this process until all of the broth is used and the rice is al dente, about 18 to 20 minutes. Be careful not to scorch. 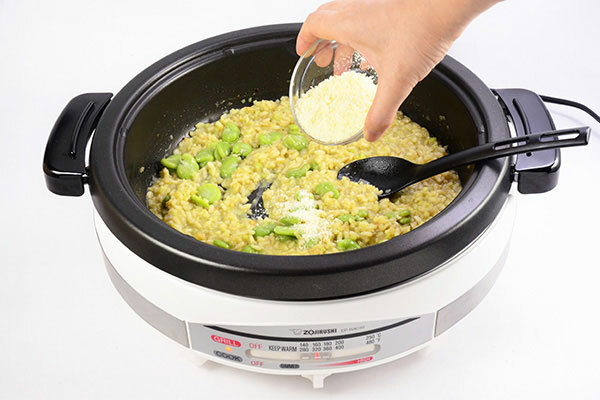 Mix in puréed favas, butter, the remaining favas and Parmesan cheese to the cooked rice. Stir until the butter melts and other ingredients combine well. Turn off the skillet, season with salt and pepper. Serve immediately.